Our whole website is full of baseball skills and drills. I guess it is not filled with skills, those are what you provide. 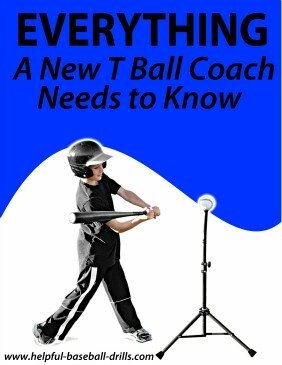 What we have are the baseball tips and drills that will help you improve your skills. Improving your baseball skills will help you play at a higher level. And playing at a higher level is the best way to improve your play. When trying to improve your play, you need to not only work on your individual skills, but also your team skills. A team with the most skilled players is not always the best team on the field. Often it is the team with the best team work. Lots of plays in baseball take teamwork to execute. And that is what the following three team drills are all about, teamwork. Don’t you just hate it when the pitcher does his job and gets a ground ball hit to one of the infielders, and then the fielder throws it away? A lot of time is spent on fielding ground balls. More time needs to be spent on making good throws. One of the best baseball skills and drills for infield throwing is called “around the horn”. This baseball drill starts with a catcher at home, a first baseman on first, a second baseman or shortstop on second, and a third baseman on third. The catcher throw to first, first throws to second, second throws to third and third to home. The catcher then reverses it back to third and the baseball is thrown around the diamond in the opposite direction. All fielders receive throws while standing on their bag. If you have more than one group, you can time this drill for a little contest. 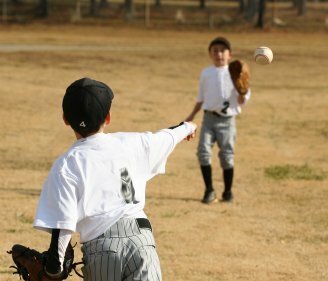 Besides making accurate throws, encourage the boys to get rid of the baseball faster. They need to move their feet faster to make quicker throws. This drill is used in a lot of World Series baseball skills competitions. As simple as this drill is, you will be surprised at the improvement in your infield throwing. Here is a baseball skills and drills the players will talk about for many days. They love it and they hate it. This baseball drill will improve your infield play and you will also see some of the fastest base running your team has ever done. It is similar to the “Around the Horn” drill with live action added. The drill starts with someone at each infield position, except the pitcher position. You also have a catcher at home plate. There is also a runner ready to run standing on first base. Don’t forget he needs to be wearing a helmet. You start the drill by hitting a ground ball to the shortstop. When you hit the baseball, the runner starts to run to second. The shortstop fields and throws the baseball to first, the first baseman then throws the ball to third base. The third baseman throws to second base, who throws the ball home, hoping to beat the runner. The runner that started at first base has now circled the bases and is trying to beat the throw home. You may have to adjust where the runner starts from, depending on the age of your boys. You will know after the first few drills. Also, this baseball drill may need a reward for the winner, or a punishment for the loser as an incentive to keep it going. Circling the bases is a long run. After mastering the above two baseball skills and drills your infield is ready to amp up their play. Let’s put those improved skills to work by turning a double play. Being able to get two outs on one play is a big advantage for a baseball team. The double play usually shuts down the others team’s rally. Start this baseball skills and drills with your third, second and first basemen all standing in their fielding positions. And have a runner on first base. Again, don’t forget to make him wear a helmet. Hit ground balls to the third baseman, who throws to second. The runner breaks for second as soon as the baseball is hit. He should slide feet first straight at second base. The second baseman throws on to first for the double play. If you have plenty of runners, start one at home plate also. 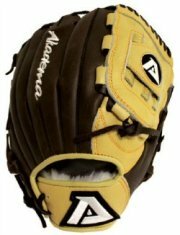 This will make the infielders be quicker with their throws. After several repetitions to the third baseman, bring your shortstops onto the field. Now run the drill hitting ground balls to them. Continue the drill hitting ground balls to your second baseman and then to your first baseman. The shortstop takes the throws at second from the second baseman and the first baseman. 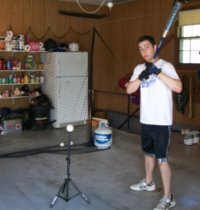 Be sure you have plenty of runners and you should be able to hit many ground balls to each position in less than an hour’s time. Start using these baseball skills and drills when your infielders are able to make consistent good throws across the diamond. This will probably be when they are ten. It will be rough going in the beginning, but these drills will pay off down the road.